But what if you have an unusual make or model of appliance? No problem! Rest assured, we've got the expertise to make fast, lasting repairs of the highest quality. All work is fully insured, and guaranteed in terms of providing results that last. Get a free quote on the appliance repair services you need now, with one quick call! We number a wide array of brands and manufacturers amongst the range of domestic appliances that we can fix. Some of the most popular machines we're called upon to repair are by LG, Aeg, Falcon, Smeg, Neff, Baumatic, Hoover, Whirlpool, Rangemaster, Beko, Hotpoint, Zanussi, Samsung, Bosch, Indesit, Siemens, and Cannon. You can also call us in for a comprehensive full electrical oven repair option, including cooker hood and cooker hobs. Thorough experience and the training needed to deal with all makes and models of appliance means that your Exclusive Repairs technician will know exactly how to deal with your problem in particular. 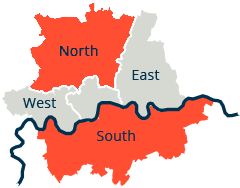 Most of our clients are based in the South London area, but we work outside of it too. 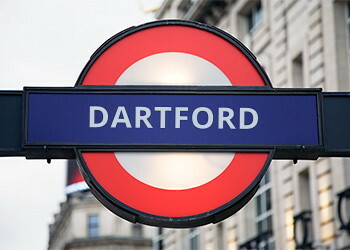 Simply give us a call whenever you need expert appliance repair in Dartford, Bexley, or nearby. We've got you covered! Unlike some other repair companies, we don't mess you around when it comes to rates and details about exactly what's wrong with your domestic appliance. The expert you speak to will always be able to give you all of the information you might want, and you'll always get a clear quote on work that's needed before we start. We leave your home just like it was before we arrived: no mess, no stress, no hassle. Any mess that gets made is cleaned up well before we leave. Dishwasher and Electrical Oven Repair, and More! What sort of appliance do you have that needs maintenance? We offer washing machine repair in London, tumble dryer repair, in addition to services for electrical cookers and dishwashers. Simply give us a call and tell us about your problem. We'll soon have an expert around to tell you what the issue is. Exclusive Repairs makes getting your kitchen appliances fixed quick and easy!